The varsity Sport for the MindTM, FRC combines the excitement of sport with the rigors of science and technology. Under strict rules, limited resources, and time limits, teams of 25 students or more are challenged to raise funds, design a team "brand," hone teamwork skills, and build and program robots to perform prescribed tasks against a field of competitors. It’s as close to "real-world engineering" as a student can get. Volunteer professional mentors lend their time and talents to guide each team. Macomb Christian School will host a qualifying competition for Robofest Exhibition and Game in which student teams design, construct, and program their robots to act independently and compete for trophies in a variety of competitions. Canton Charter Academy will host a qualifying competition for Robofest Exhibition and Game in which student teams design, construct, and program their robots to act independently and compete for trophies in a variety of competitions. Baker College will host a qualifying competition for Robofest Exhibition and Game in which student teams design, construct, and program their robots to act independently and compete for trophies in a variety of competitions. Charles Wright Museum will host a BottleSumo robotics camp in which student teams vie to be the first robot to push intentionally a bottle off the table OR be the last robot remaining on the table..
Come experience the cutting-edge advances made by Michigan robotics’ companies and research organizations, hear from leading minds in the field, and see how students at the collegiate and high school levels are involved with these exciting new technologies! Yaskawa Motoman, a leading robotics company in the Americas, is hosting educational events at our facility in Rochester Hills on April 10. HIGH SCHOOL AND COLLEGE STUDENTS highly interested in robotics and automation technology are welcome to attend. Visits will include a tour of our robotics lab to see and interact with live demonstrations. Students will have the opportunity to talk to engineers and technicians regarding automation and career opportunities. One-hour sessions are available with a limit of 25 students per group. Registration is required. Session times: 9:00 – 10:00 am; 1:00 – 2:00 pm. More times may be added as required. To schedule your group, please contact Yashan Young: yashan.young@motoman.com or call 248-668-8800. FANUC for Education Tours, FANUC America Corp. In honor of National Robotics Week, FANUC America is hosting facility tours and demonstrations. Students, parents and school faculty are invited to this special automation event! Please register to attend a one-hour session. Hosted by FANUC America Corp. 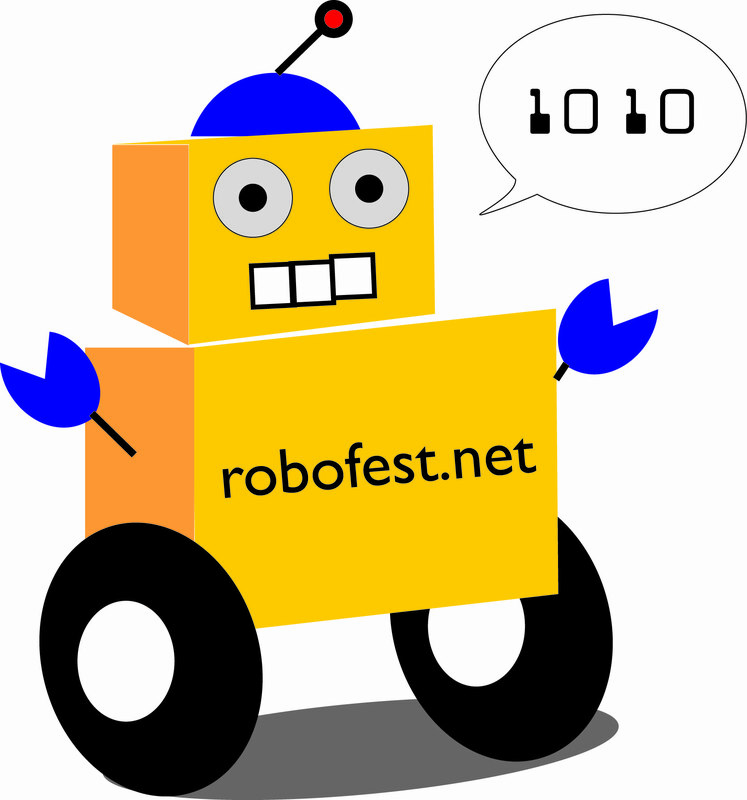 Achieve Charter Academy will host a qualifying competition for Robofest Exhibition and Game in which student teams design, construct, and program their robots to act independently and compete for trophies in a variety of competitions. Lawrence Technological University will host a BottleSumo Girl Scout badge workshop in which student teams vie to be the first robot to push intentionally a bottle off the table OR be the last robot remaining on the table..
Saturday, 4/12/1014 the 4-H Robotics & Technology Club invites kids ages 5 to 19 years old and adults to see the 4-H MakerSpace that the clubs run. A cake, pop, cookies, chips, and robot exhibits are planned. See you there! Charles Wright Museum will host a qualifying competition for Robofest Exhibition and Game in which student teams design, construct, and program their robots to act independently and compete for trophies in a variety of competitions. Opportunity for Girl Scouts of southeastern Michigan to learn about robots through demonstration and hands on practical application. Girls in grades 3-12 will also get to engage with experts in the field and to build and bring home their very own Bristlebot.